We recently had a driver on our forum ask about his DUI arrest and whether the state had a good case if he passed the breathalyzer test and was taken to jail but not made to take an additional blood alcohol content or BAC test. What evidence does the state need to make a DUI arrest? [caption id="" align="alignright" width="240" caption="Fatalities by Blood Alcohol Content (Photo credit: Richard Masoner / Cyclelicious)"] [/caption] When the state or prosecuting attorney is deciding whether or not to charge you with drunk driving they will analyze several factors related to your DUI stop. The first is whether the police had the legal authority to make the DUI stop. Specifically your Fourth Amendment rights defined under the United States Constitution which states that no person shall be subject to an unreasonable search and seizure. The driver mentioned that they were driving at night without their lights on so this may be considered probable cause for the traffic stop. Next, the state will consider whether they have enough evidence to prove that you were either under the influence of alcohol to such a degree that you were unable to safely operate your vehicle or that you had a BAC or blood alcohol level above the legal limit of 0.08%. The driver on our forum mentioned that they took the breathalyzer test three times and their BAC was under the illegal limit. This means that they cannot be charged with a per se violation. In this case the officer will need to have additional evidence that the driver was not able to safely operate their vehicle. So if the driver passed the breathalyzer test and was not asked to submit to additional chemical testing of their blood, breath or urine they may feel like they will not be charged with DUI. Unfortunately, the state may have additional evidence to charge the driver with DUI. Other evidence used by the state can include: 1. The field sobriety tests 2. Illegal driving actions made prior to the DUI arrest that the arresting officer observed. 3. The officers observations of the drivers physical appearance, attitude and demeanor 4. Incriminating statements made by the driver or other individuals. The driver also mentioned that his sister was in the car and she was intoxicated. Another issue that drivers should consider is that in some cities it is a Class C Misdemeanor to have an open container of an alcoholic beverage while operating a motor vehicle. 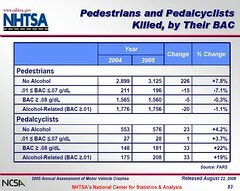 If there were open containers in the car this is another issue which should be discussed with a DUI lawyer. The good news for the driver who asked the questions outlined above is that the state does not have any chemical evidence which indicates that his blood alcohol content (BAC) was above the illegal level. There also does not seem to be much indication that any serious traffic violations occurred prior to the stop. This driver should contact a DUI lawyer and request a free consultation to determine if it is likely the state will move forward with the DUI charges.